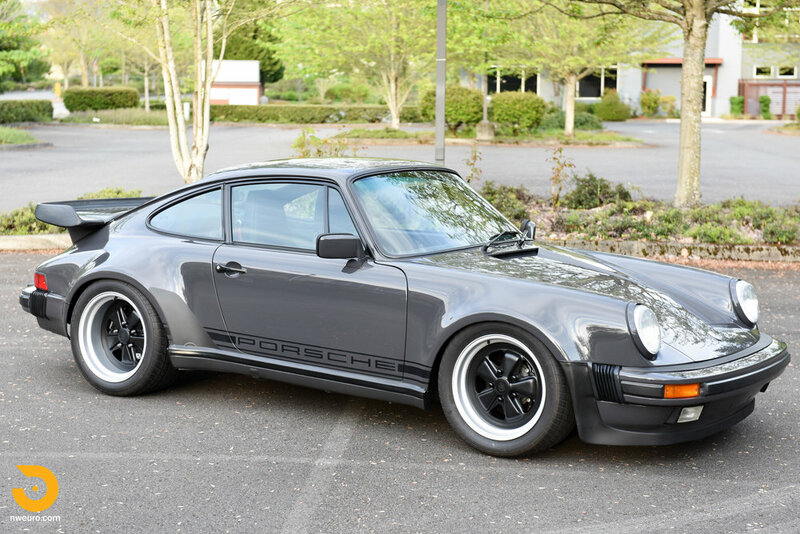 Superb example to be enjoyed as is, or returned to factory specifications. The 1980s - An era known for excess – in the areas of fashion, corporate crusaders, and of course automobile design. How can you not recall the red Ferrari 308 of Magnum PI, or the white Ferrari Testarossa in Miami Vice? 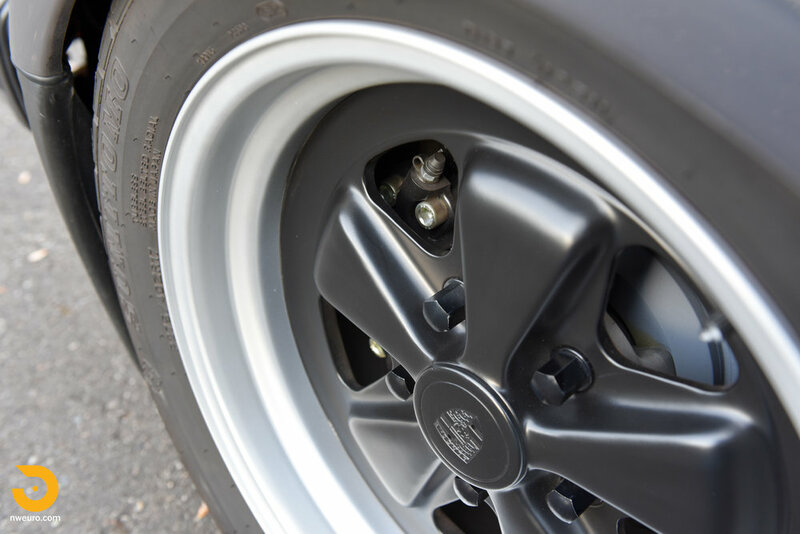 The style of the 1980s on some cars has stood the test of time better than others. We all had the same posters on the wall back then – names like Countach, Testarossa, and Porsche Turbo. 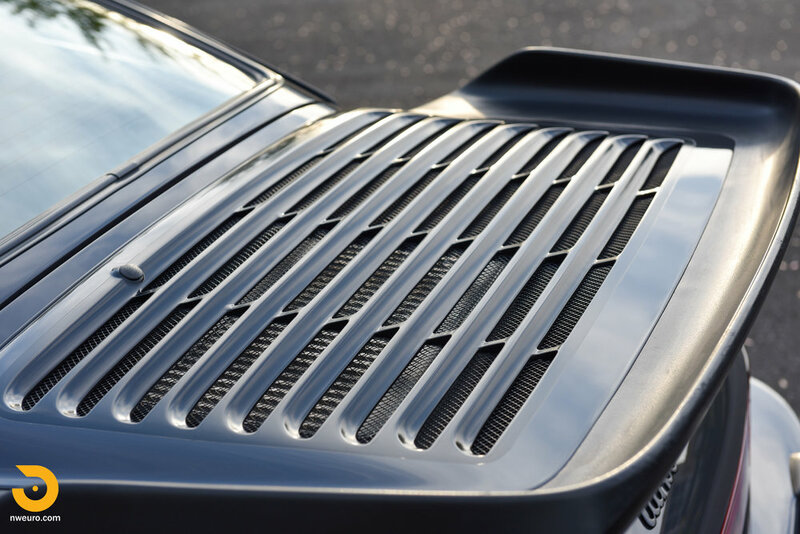 The futuristic angles of the Countach turned heads, and the side strakes of the Testarossa of that era set a new trend for years to come. 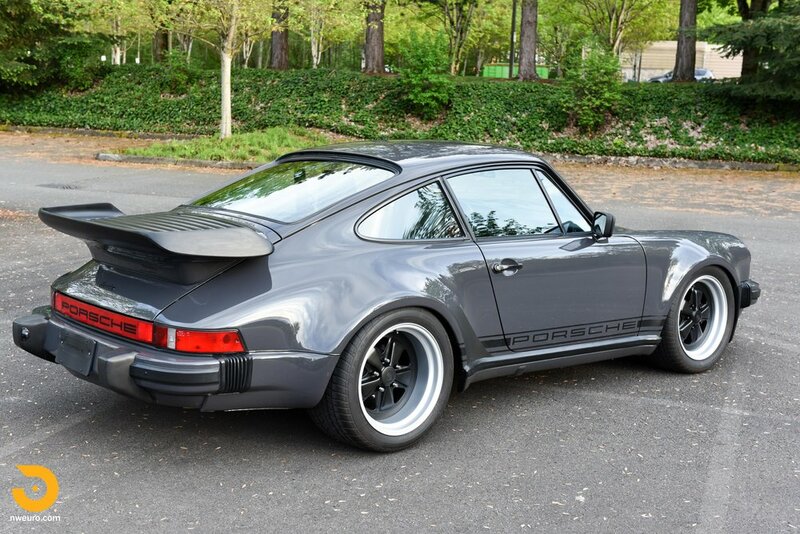 However, the sexiest car by far was the voluptuous Porsche 911 Turbo, based on the original 1960s design, but with much larger flares and the iconic wing. 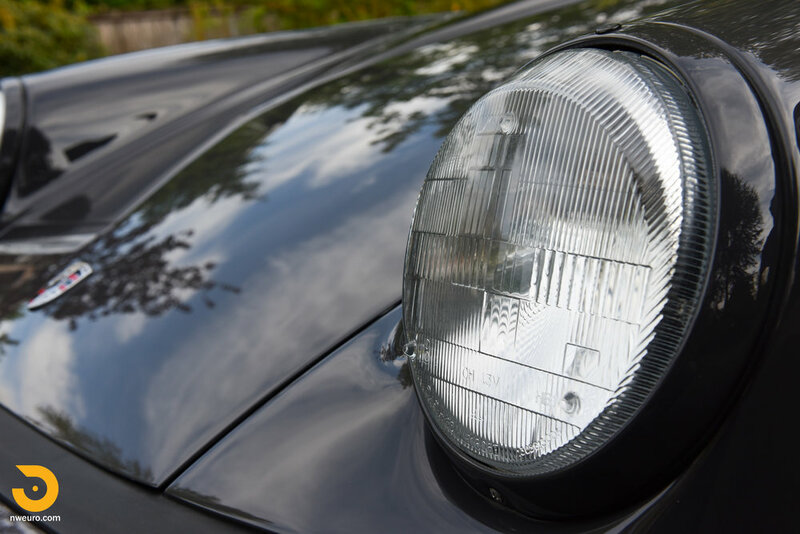 It was, and still is, the most recognizable form in the automotive world. The decade was also a great time in motorsports history. The Porsche 935, 956 and 962 dominated Sportscar racing allowing Porsche to further push the limits of the flat 6 engine and turbocharging. Drivers such as Derek Bell, Al Holbert and Hans Stuck piloted these mighty steeds to outright victories at tracks around the world, including the famous 24 Hours of Le Mans. As you close your eyes and picture the Rothmans liveried Porsche 962 flying down the Mulsanne straight at night, why not experience a slice of that in a factory Porsche Turbo from the same era? 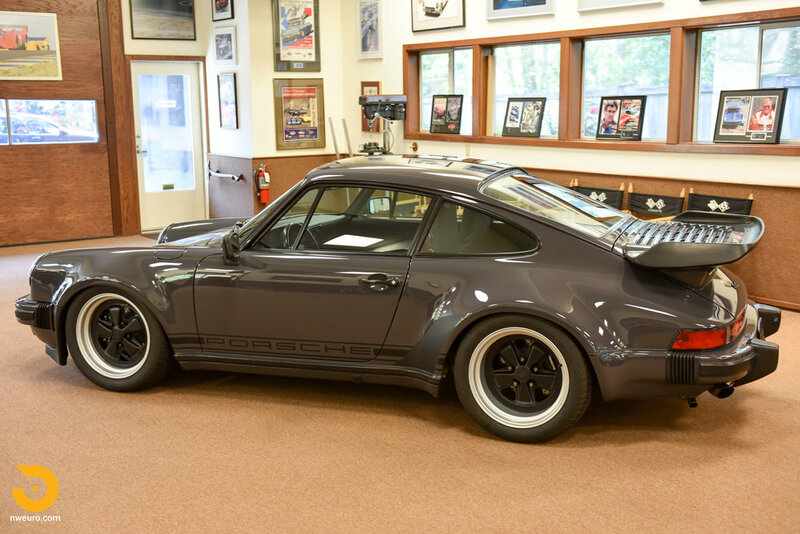 The car presented here is a 1985 Porsche 911 Turbo, more commonly known as the 930 model designation. 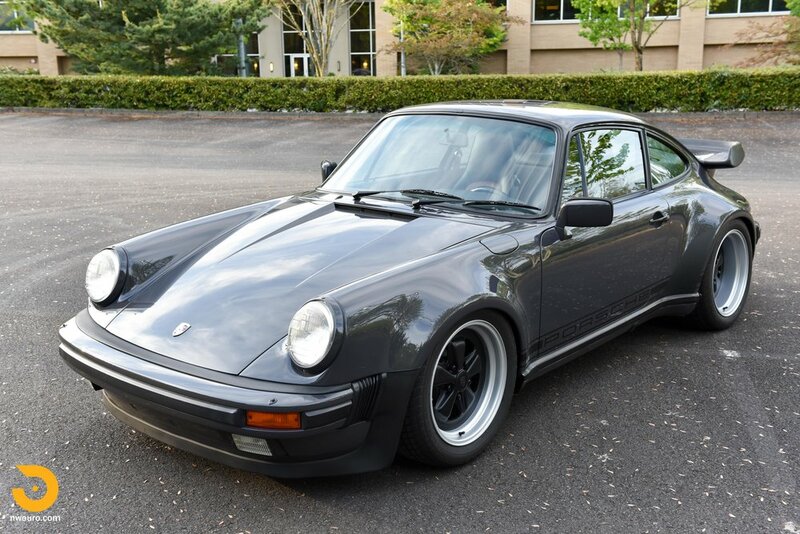 Being a 1985 model, this car was originally imported from Europe in December 1985, and spent the first 15 years of its life in Kansas, Texas, and Montana with three owners. After enjoying the big open roads throughout those beautiful states and accumulating 90K miles, the car then migrated to Washington State in 2000 where it was owned by a local enthusiast that added just another 20K miles over the last 15 years. The car underwent a full bare metal restoration in 2011 to the state you see presented here, and has only covered a handful of miles since. The original engine was removed during this restoration process and put on the shelf. A new engine was sourced with just 40K miles on it, and during a recent motor out service and reseal, everything was found to be in proper order with solid compression and leak down numbers. 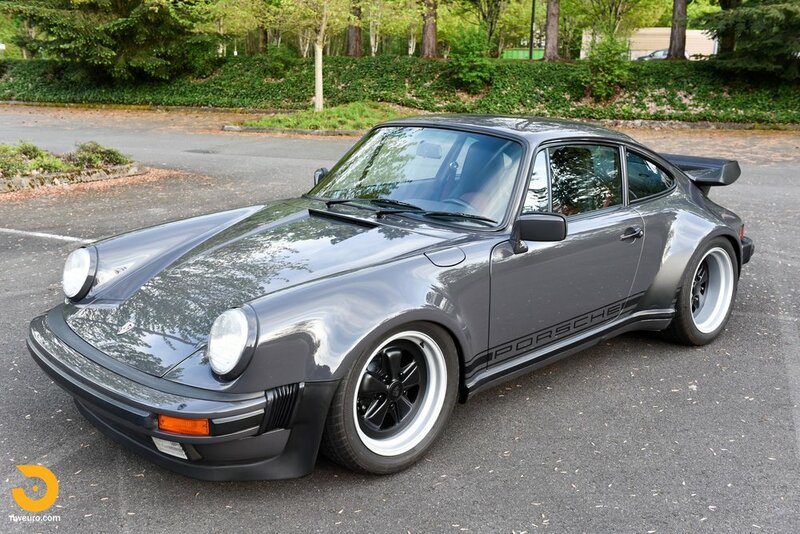 Undervalued for many years, the early Porsche Turbo cars are now being sought for their incredible motorsport pedigree, and raw visceral driving experience. 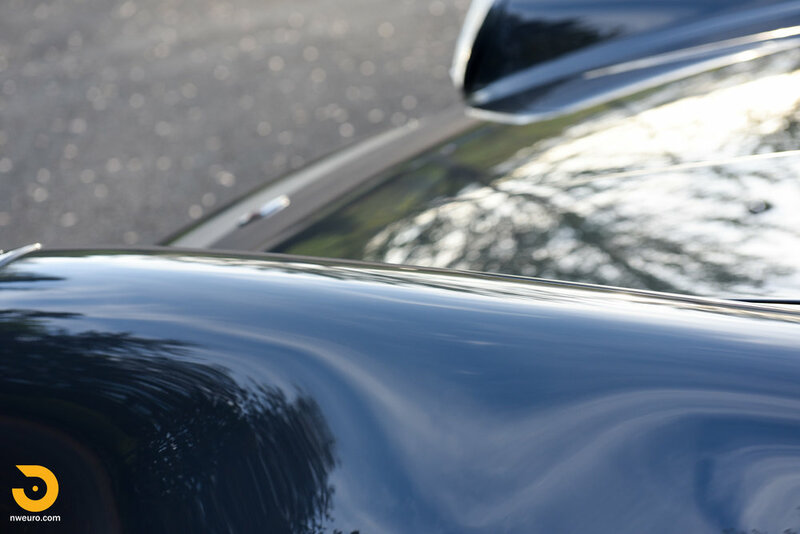 This car is ready to be enjoyed now at your local car show, or driving tour – it needs nothing. It also includes all original parts (engine block, A/C components, etc.) for the future if it is ever desired to return the car to stock configuration. Recent work by Jeff Hines for leaking cylinder base gaskets, heads were pulled and resealed – while apart, visual inspection by noted all parts to be in great order, and the testing confirmed this as well. 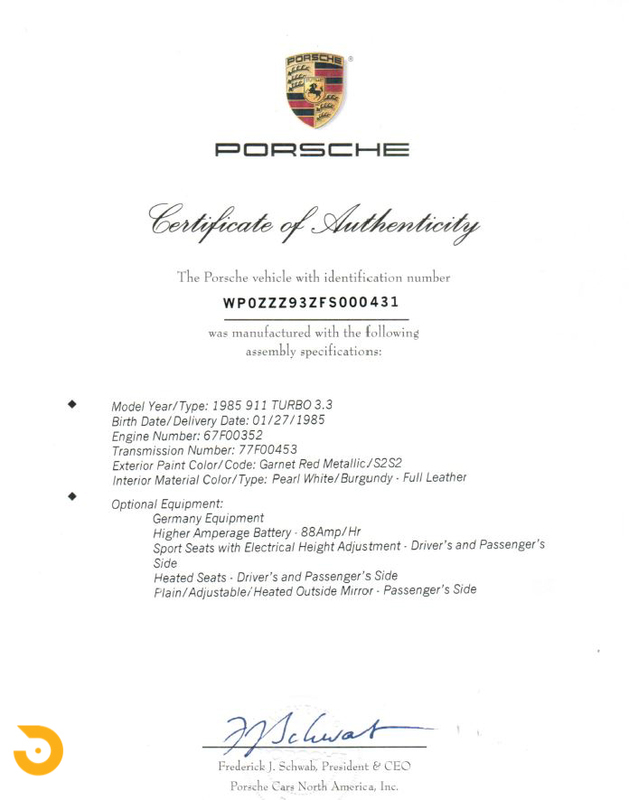 Northwest European - Specialty and limited production automobiles.